An unemployed actor (Scot Michael Walker) is dragged to church by his girlfriend and he's impressed with the amount of money changing hands. 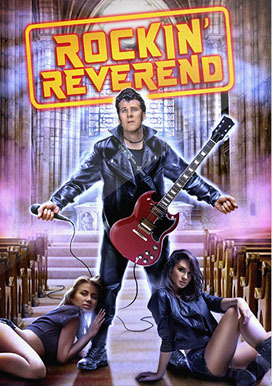 Together with his stoner buddy, he decides to create his own church and become the Rockin' Reverend. When the sham actually works, he is tempted by greed, lust, and drugs - and must choose between being a rock star - or a good father, loyal friend and faithful boyfriend.